As a RE/MAX agent in the Coachella Valley, Elaine Stewart been the #1 agent for the last 9 years from 2010-2018. In the year 2009, she was the second best producing REMAX Agent in the same area. Back in 2008, she received the award of being the top producer of the La Quinta REMAX Office. She is a member of the REMAX Hall of Fame, REMAX Chairman’s Club and REMAX Platinum Club for 2010. In 2013 Elaine Stewart was awarded the REMAX Lifetime Achievement Award. This is an award that honors agents who are highly successful and have attained sales of 100 million as well as having been with REMAX for seven years or longer. Elaine has enjoyed great success having been among the top 100 Residential Sales Agents with REMAX out of 55,000 for the period starting in September 2013 to through September of 2014. 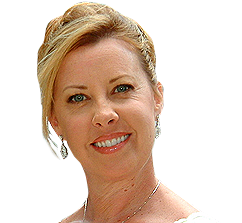 Elaine Stewart possesses vast real estate experience that runs over 20 years and counting. If you are interested in getting or disposing of a home in the areas of Indian Wells, La Quinta, Rancho Mirage, Palm Springs and Palm Desert then Elaine Stewart is the best real estate agent to reward you with the necessary negotiating knowledge, integrity and experience. This will guarantee you a smooth transaction as she takes great pride whenever given an opportunity to help people buy as well as sell their homes. In addition, she is a member of the REMAX Hall of Fame and REMAX Platinum Club. Elaine Stewart is the ultimate Real estate agent any home buyer or seller would wish for. She ensures that the home seller gets the highest possible profit from their sale as well as ensures that any home buyer gets the lowest possible price through her advanced negotiating skills. She handles all the queries you might have concerning the real estate market easing any worries you might have. She does this effectively because of her vast knowledge and experience that she has accumulated over the years. It is this expertise in real estate that enables her to be capable of picking out the current market’s best opportunities. The striking desert scenery which is beautiful to the eye is not the only thing that attracts people to this area. The exquisite homes and the weather found in the area throughout the year are major factors that attract people to this area. The best thing about this area is the mild winters that are experienced here. Apart from the beautiful homes and great weather, there are also several outdoor activities that may attract more people to the area like horseback riding, hiking, and camping. For any avid golfer out there, the championship golf courses available in this area are just irresistible. There are also great festivals and events that take place in the area, making it a great place for the whole family to live in. The homes available in areas such as Indian Wells, Palm Desert, La Quinta, Palm Springs, and Rancho Mirage Real Estate are both perfect for investors looking to up their real estate portfolio as well as the first time homeowners. These homes offer something unique that meets the needs of every interested person in them and Elaine is eager to help you discover them. Home buying and selling alike are processes that require a lot of thought as they touch directly on the future financial status of the individual buying or selling as well as the whole family financial future. It is therefore essential to have an expert guiding you through the whole process and Elaine fits the bill through her commitment. She has fully committed to ensuring that her clients get exactly what they want including their own special desires in the property they want. Ensure that you make the best choice on who will take care of your real estate interest in the next transaction you undertake in order to get the best deals and Elaine is just a phone call away!